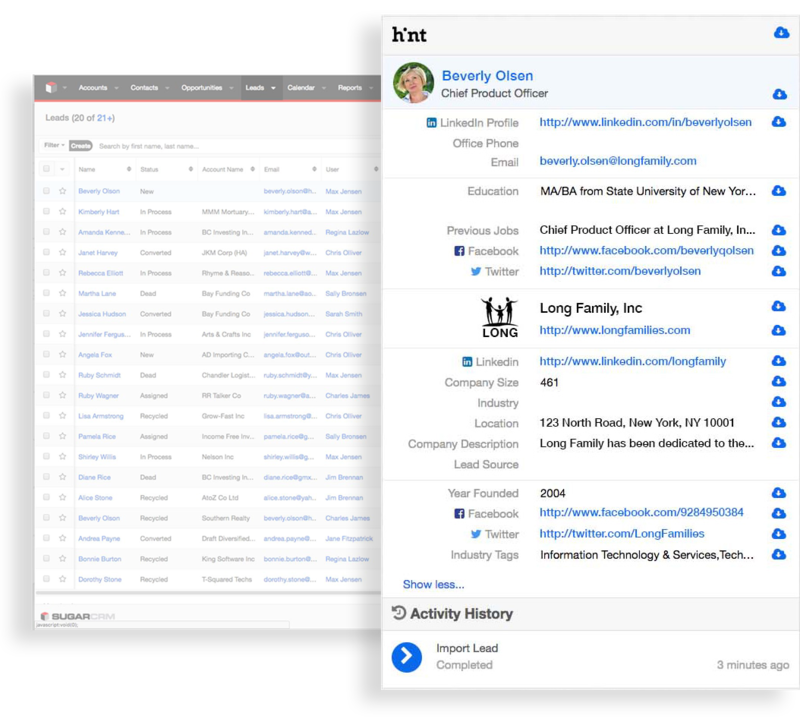 SugarCRM has announced a brand new product today called Hint, their new relationship intelligence solution to help Sugar users know their customers better. SugarCRM Hint, the debut product in the new SugarCRM Relationship Intelligence product line, reinvents enterprise applications, automating the gathering of vast amounts of customer information. Hint enables your sales, service and marketing professionals to get a full social profile of their customers with minimal data input. This new intelligence solution will lead to the natural evolution of CRM, moving it from being a record of what has already happened to a customer-facing employee’s guide to the future. Hint gathers and analyzes customer intelligence from a broad range of data sources so users can quickly and efficiently learn more about their prospects to establish a productive relationship. This new tool from SugarCRM allows you to have better relationships with your customers by understanding exactly who they are during the most important conversations. Contact us today to learn more about how Hint can help your sales and service teams gather greater insights into your prospects and customers.